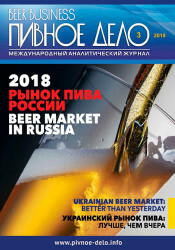 The brewing industry development and the dynamics of the Russian beer market in 2010 have been considerably different from other regions of Eastern Europe. While the markets of Ukraine, Kazakhstan, and Belarus started going out of the recession, Russia saw one more curve down and Russian brewing companies have reduced their sales both by volume and by value. There was a detention of recession as negative consequences of the economic crisis were aggravated by a sudden fall of beer affordability. This was caused by excise rate growth which has risen by 200% to 9 rubles per 1 liter since January 2010. In 2010 the Ukrainian beer market has stabilized but the recession changed the sale structure of the leading producers notably. The market has become more polarized and dynamic, we saw new economy and premium brands. The leaders’ reaction to the trends were different which yielded different results, and in general small breweries showed a good sale increase. Miass Machine-Building Plant was known as a defense industry enterprise before 90th. But the development of mini brewery market gave a start for applying high-end technologies and high-precision equipment in producing reliable breweries of high quality. Recently the company has celebrated 20-year anniversary of successful work on the Russian brewery equipment market. Mr. Sergey Bobin, the specialist having 20-year experience of working at breweries and Chief of MMZ brewery design department, tells about the company. Not a very long time ago the USA had a beer market completely dominated by large companies. Small brewers’ efforts were not even considered as commercial projects and existed only thanks to their enthusiasm. Their development was organic – the microbreweries saw a period of boom, the awkward age crisis and now it is experiencing a new curve of growth. The economic recession has only slowed down the dynamics of the craft beer sales, but it did not stop the craft breweries from taking a small share away from the large companies. Matthew Brynildson, of Firestone Walker Brewing Company, – one of the well-known “enthusiastic brewers” of the first wave is sharing his analysis of the development of the microbreweries and craft beer market in the USA. We got the impression that the processes the USA apply for our area as well. The malt market has seen fundamental changes which was a joint action of many factors first leading to its growth and then to its abrupt collapse. The main tendency of 2008 was development of brewing companies’ own raw materials base and reduction in volumes of malt being sold and bought. In 2009 there were structural changes i.e. the list of the main suppliers became longer and they got more customers. In the conditions of market shrinking the brewing companies opted for quite a straightforward consumer enticing i.e. promotion actions. The producers often propose the customers to capitalize their loyalty to beer brands. However what benefit can a promotion campaign give and how do we organize the right promotion? Last year agency Bojole research started a comprehensive research of brewers’ promotional activity. The results showed that the budget of the promotional action plays an important but the decisive role for sales growth. Research director Bojole research Olga Makarova has analyzed the effectiveness of promotion actions carried out by brewers in 2009, and has given several recommendations on promotion action planning. The big brewing companies had to restructure their marketing strategies answering to market demands. It is interesting to compare the changes in companies’ market positions to their branding activity. Minibreweries account for about 0.8% of Russian beer production, restaurant breweries – for about 0.2%. Do we really have to consider such a small market segment? Yes we do, since the customers are gaining distinct interest for natural, draught and original. In case minibreweries focus on these qualities of the production and encourage beer patriotism. they will be able to compete with the federal companies. Certainly only provided the latter do not do the same thing. The brewing industry and market continue growing, in spite of the consumption decline. During the first half year the market has grown by 8-10% in monetary terms and can reach the level of 500,000 mln. ruble by the end of the year. The ruble stabilization and malt price fall are to positively effect the companies’ profitability. Besides, the market leaders worked hard at costs cutting, developing the resource base and optimizing production and logistics. Since the year start, Efes and «Baltika» have been showing the best dynamics. But unlike the past years, only regional breweries can boast of beer output growth. Early in 2008 there were expectations of beer market moderate growth while its development tendencies were quite positive but the year ended with decline and instability. The turning period for the whole Ukrainian economy “October-November” 2008 has changed the trends which had existed previously. We analyzed all the aspects of market development and companies’ competitive positions before and after the economy crisis onset. 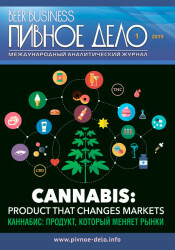 In spite of the serious setback of production, a row of companies managed to succeed at the Belarus market. Notwithstanding the import growth resumption, alteration of consumer’s preference and state regulation still allow the national producers to develop. 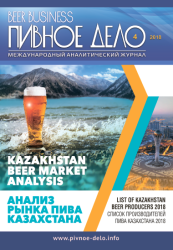 Besides a host of investment projects, targeted at production expansion, design improvement and distribution chain development have been completed or are being carried out by Belarus brewers. Since the beginning of 2008 the brewing industry has been exhibiting a fluctuating growth dynamics though in other countries of Eastern Europe beer production was still growing slowly. The protracted production setback and transition from beer market stagnation to recession were caused by government regulation, economy crisis and poor weather.